No one likes to wait around for accessing information in the digital world and wants answers to their queries in less than no time. This means that customer tolerance for delay is getting shorter with the time. We are referring to the Live Chat function that is not only for the means of contacting customer service, also applies a big difference in consumer reaction to your e-commerce website and offerings. There are compelling reasons to use live chat to your e-commerce website. The mode of communication is the bane of one’s life who owns the ecommerce site, but incorporating live chat can increase your number of visitors & sales dramatically. The relentless rise of the e-commerce space makes fast customer service a must to keep their consumers satisfied at all levels. Adding a Live Chat option to your business site is a smart way to provide real-time responses to your potential customers and current clients. In fact, the Live Chat operator can handle multiple issues at a time that motivate clients to return again. Of course, the live web chat is a new form of advertising that provides a significant advantage over the market competition. 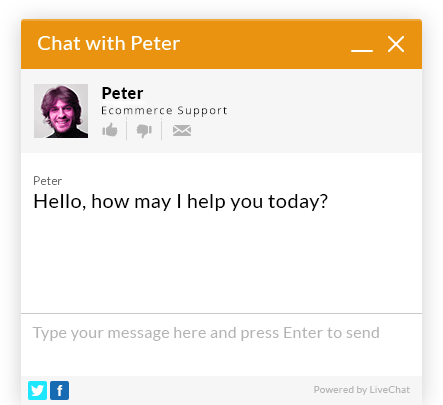 The live chat system enables effective means of customer engagement and support people that actually prefer this form of communication. The convergence of live chat and e-commerce is more relevant, useful and appealing to customers that promote higher engagement and yields important business benefits. Unlike voice support system where a customer call is being quickly dismissed, intelligent chat sessions are more helpful for users. The chat sessions impact the purchase decision when the customer needs assistance. Live chat is the most important feature of an e-commerce website that works well, whether it’s successfully solving a problem, answering detailed product questions or converting potential clients into buyers. By embedding a chat system to e-commerce sites help transform advertising strategies, business planning, and customer engagement. 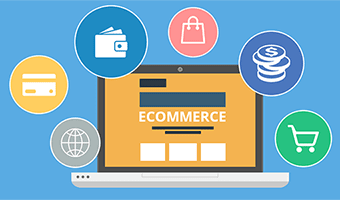 The common measures for e-commerce sites include sales conversions that need continuous improvement which is possible with customer engagement & satisfaction. Overall, live chat upwards the performance of a company’s website because it puts them in greater control of their time, while play as the vast source of information for more & more people that visit your website.